DrinkWire is Liquor.com’s showcase for the best articles, recipes and reviews from the web’s top writers and bloggers. In this post, The Garnish blog offers a seasonal margarita. It's Thanksgiving! What do you have planned this year? Since we'll be in Boston far away from family (and their annual epic array of Thanksgiving casseroles) we're going to have a small dinner with a few friends. It will be our first time really hosting a Thanksgiving dinner, and I'm going to have to seriously rein in my ambitions of elaborate table settings and bountiful homemade dishes - I've got a two-month-old, after all. But we'll definitely try to tackle a few Thanksgiving classics like green bean casserole (from scratch, of course!) and stuffing. And since my husband has dreams of cooking the turkey sous vide, that might be all we're eating. I'd better make sure there are drinks. 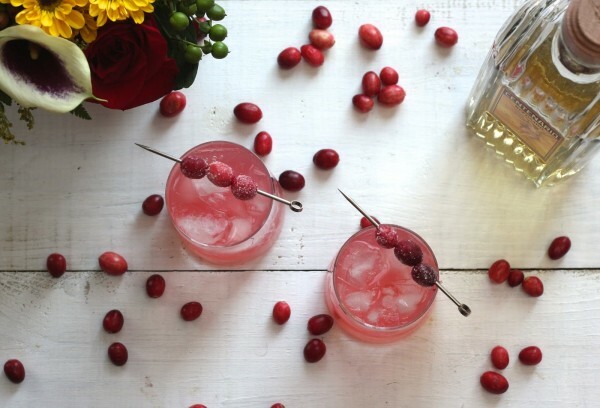 Since it's Thanksgiving, you've basically got to put some cranberry in your cocktails. Cranberries make a great addition to an Old Fashioned, Moscow Mule, or Julep. Not only do they add some fabulous flavor but they're also pretty gorgeous. Snag a few from your cranberry sauce recipe to add to your drinks. Or throw in the cranberry sauce itself! 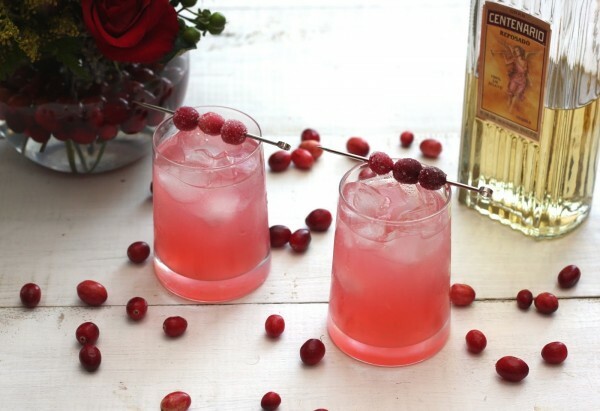 Now, when you think of Thanksgiving cocktails, your first thought probably isn't "margaritas!" But I think this is a fresh and seasonally-appropriate take on an otherwise summery cocktail. Tart cranberries are honestly perfect in a margarita, and including some autumn spices and an aged tequila makes for a cocktail that would be right at home on your Thanksgiving table. Or at least perfect for pre-dinner drinks. Combine all ingredients in a shaker with ice and shake until chilled. Strain into a rocks glass filled with ice and garnish with sugared cranberries. 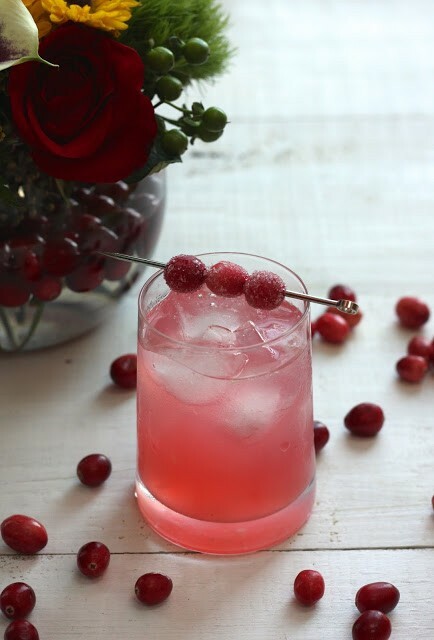 *You can make the sugared cranberry garnish and the spiced cranberry syrup together. Combine 1/4 cup water and 1/4 cup sugar and simmer to dissolve the sugar. Remove from the heat and stir in 1/2 cup cranberries, 1 cinnamon stick, 8 cloves, and 2 star anise. Let sit for 10 minutes. Strain, reserving both the cranberries and the syrup. Arrange half of the cranberries on parchment paper on a wire cooling rack and let sit for one hour; these will be your sugared cranberries. Return the rest of the cranberries and the spices to the pot with the syrup and muddle. Let sit for another 10-20 minutes and strain again, discarding the solids. Once an hour has passed, pour 1/4 cup sugar onto a plate and roll the remaining cranberries in it to coat.